The TransAtlantic Trade and Investment Partnership could lead to a marginal increase in GDP and investment in the country, reversing a previous study which showed that it would have a negative impact. 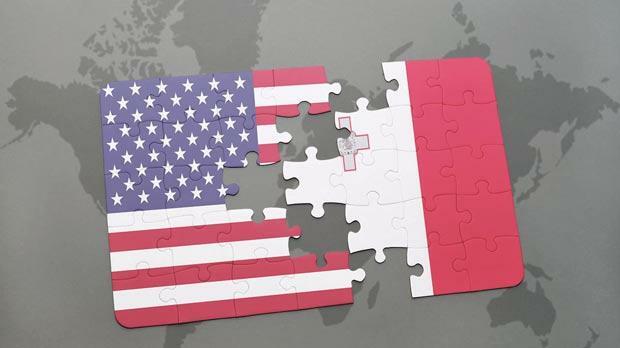 Malta was the only EU member state which would have fared badly as a result of TTIP and the WTI met a Maltese delegation – of which no details were given – to discuss the results. The World Trade Institute (WTI) has now published updated country-specific results of the impact of an ambitious TTIP on the Maltese economy. Utilising the latest economic data for Malta from 2015, the new findings conclude that TTIP would be beneficial for the country. In the original findings, the authors found that TTIP could lead to a marginal decrease in GDP of around -0.3 per cent. Investment was also projected to decrease slightly. 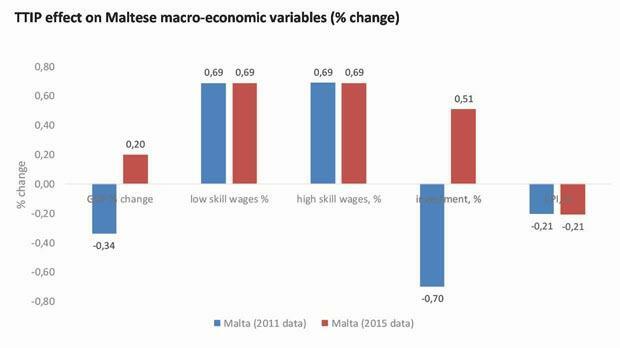 These findings were based upon economic data for the Maltese economy from 2011. WTI said the decreases in the original findings were driven in particular by a decline in the electrical machinery sector in Malta from TTIP. However, the authors found that the importance of this sector relevant to the Maltese economy has declined in recent years – especially since the January 2016 study was based on 2011 data. This shift in the Maltese economy lead to changes in the results for the local economy from a comprehensive TTIP agreement, notably an increase in GDP of approximately 0.2 per cent, and an increase in investment of around 0.51 per cent. Wage and consumer price effects remain the same as in the original report.